With the scoreboard showing seven winners from eighteen starters in the month of August, the turn of the page to the September calendar brought a fresh challenge … but the Vandyke stable was in no mood to miss a beat. The first day of the month brought a familiar theme as Didn’t Mention It kick-started the stable’s September campaign with a win at the Gold Coast. The Mechanic then stepped up at the midweek Metropolitan meeting at Ipswich on September 5 to complete an eye-catching hat-trick of wins. A week later, on September 12 at the Sunshine Coast, Trois Choix became the stable’s sixth individual winner of the season when she took care of a Class 6 field second-up since resuming after being off the track for four months. And then the current star of show took centre stage. 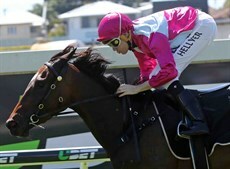 On September 15, one month after landing her fourth successive win at Doomben on August 15, Baccarat Baby put her unbeaten record on the line and, despite racing green in the run home, she came through this latest test with flying colours under a good ride from Michael Hellyer, who has ridden the filly in all but one of her successes. The stats for the first half of September this reads four wins from nine runners … and there was also second placing in there which came in the form of Tony’s Decree (again). Sept 1: Gold Coast – Mares Class 1 – 1200m. Owners: Mr D R Ind, Mrs V M Ind, Mr S P Mayer, Mr R S Jones, Mrs D M Jones, Mrs M M Mayer, Mr DJ Vandyke. Sept 5: Ipswich Class 6 – 1500m. 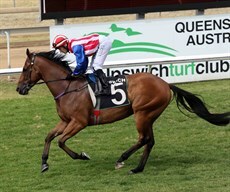 Aug 1: Ipswich – Class 2 Handicap – 1200m. Aug 15: Doomben – Class 4 Handicap – 1200. Sept 12: Sunshine Coast – Class 6 – 1600m. 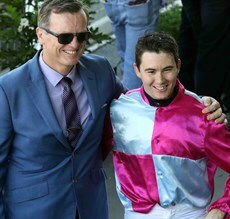 Aug 15: Doomben – QTIS Thee-Year-Old Benchmark 65 Handicap – 1660m. Didn’t Mention It landed in the leading line but was eased out of hectic early chase for the lead and settled just worse than midfield behind a wall of horses. Midway through the sweep to the home turn the mare was pulling hard, racing tight on heels, and she was left with little galloping room to the point that she was held up rounding the turn. 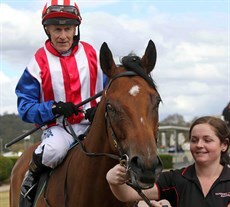 Michael Hellyer quietly shifted Didn’t Mention It wider on straightening and, once given her head, the four-year-old began to stretch out with meaning, producing a sustained run down the centre of the track which none of her rivals could match. This was Didn’t Mention It’s second career win. She had shed her Maiden ticket five runs earlier back in January. The Mechanic, who was looking to secure a hat trick of wins here, was positioned in midfield for much of the early part of the race and he was no easy ride for Jeff Lloyd. The lightly raced five-year-old wanted to get on with it, racing very keenly, and it was an uncomfortable passage but, even though he ultimately turned for home in last place, The Mechanic was still only three lengths adrift in a tightly packed field. And that was the second problem. It took Lloyd a good 100m to angle The Mechanic in-between runners and find a clear path… and then the race was truly on. The Mechanic certainly did his part, producing a committed finishing effort but he still needed the strong urgings of Lloyd mid-straight to stay focussed before finally being able to ease up in the last couple of strides with the race won. The hat trick was now in the record books. Trois Choix landed in the lead but happily gave up that position to ease back into fourth place just slightly better than midfield. The field loped along with little change in positions until the runners began to take closer order approaching the home turn. On straightening Trois Choix had moved into a three wide position some two-and-a-half lengths off the lead. Trois Choix was in no particular rush from there but she gradually increased her tempo in measured fashion and she hit the front with 200m left to run. From there, Trois Choix was pushed out hands and heels to comfortably maintain a three-quarter-of-a-length margin at the line. This was Trois Choix’s seventh career win and it took her stake earnings past the $150 000 mark. Not too many horses get to make it five-in-a-row … and keep an unbeaten record intact to boot. That was Baccarat Baby’s aim when she took on five rivals here and she had a good look at the opposition in the early part dropping out from her wide draw to race last some six lengths off the lead. You could make that nine lengths by the time the field had gone half distance but the complexion of Baccarat Baby’s race changed passing the 600m mark when Michael Hellyer started revving up his mount and Baccarat Baby began to make ground quickly on the outside of the field. Turning for home Baccarat Baby was three-wide, but now only three lengths off the lead. 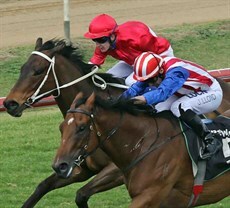 Pushed out by Hellyer, the smart filly extended and moved up to at first dispute the lead and then claim and outright advantage which she was never in danger of surrendering over the final 150m … this in spite of wanting to put her head on the side and not wanting to run straight. Five wins on the trot … that mission was now all done and dusted. Sept 2 - TONY’S DECREE – Toowoomba – Maiden – 1625m. 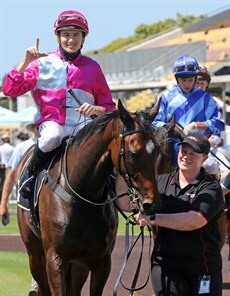 Sept 8 – ASHARANI – Doomben – 3YO Handicap – 1200. Sept 12 - WILLO TITTO – Sunshine Coast – F&M BM85 – 1000m. Sept 15 - THE MECHANIC – Doomben – Class 6 – 1200m. One month after landing her fourth successive win at Doomben on August 15, Baccarat Baby put her unbeaten record on the line and, despite racing green in the run home, she came through this latest test with flying colours. The Mechanic stepped up at the midweek Metropolitan meeting at Ipswich on September 5 to complete an eye-catching hat-trick of wins.